When it comes to partition walls and suspended objects with advertising messages, for many customers double-sided LED lightframes are the real deal. Frames such as TRENDSTAND’s new V92 system. But the illumination effect is not always wanted, nor can it be implemented in every environment. For this reason TRENDSTAND has for years been offering its T1/Y1/G1 profile family: slim double-sided keder profiles that forgo LED. In terms of stability, looks, and handling these profiles for digital prints meet the highest standards. So it is no surprise they are so popular among our clients. Of course there are also applications where looks and easy assembling do play a big role, while exceptional rigidity is not necessary. 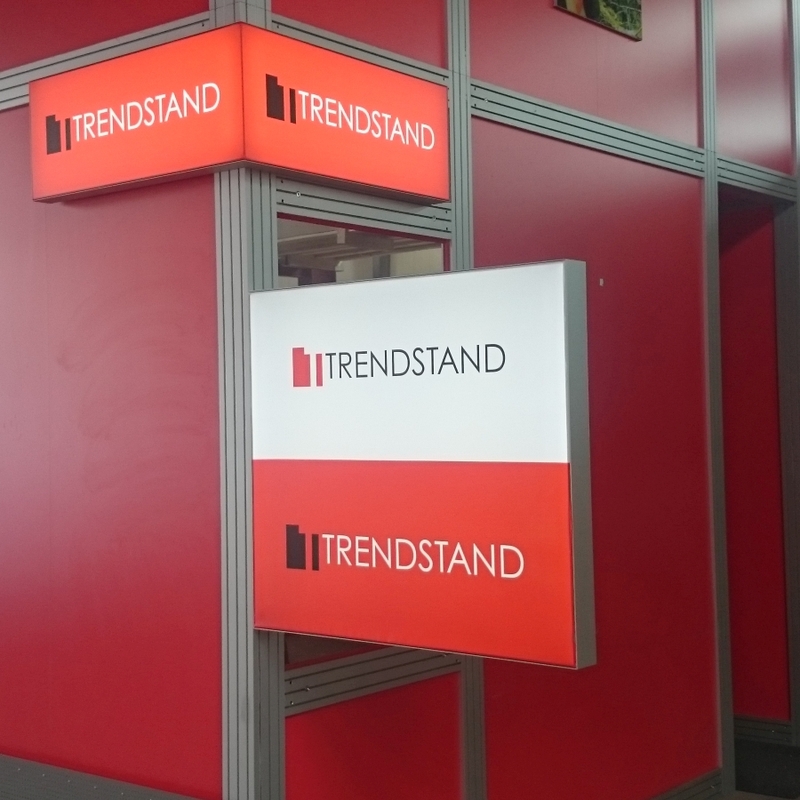 Examples are acoustic baffles, ceiling ads, wall inserts, or displays up to a side length of 1.80 m.
Dedicated to these applications TRENDSTAND has another card up its sleeve, or better two: T1L and Y1L. 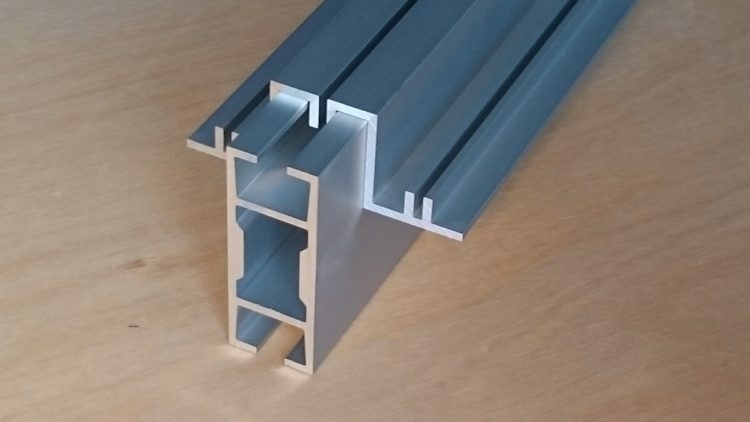 Based on their big siblings T1 and Y1, these profiles for lightweight frames offer plain or grooved outsides, for visible areas or mounting connections. 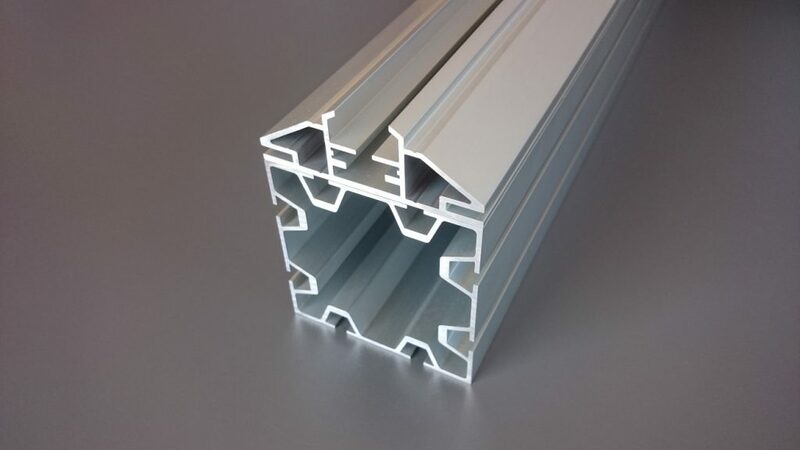 But although the “L” in the profile name stands for “lightweight”, one cannot see from the outside that users have saved on the inside: The outside width of T1L and Y1L is TRENDSTAND’s standard dimension of 52 mm. This way you may mix regular and lightweight frames, and everything matches perfectly even in bigger complexes. Another advantage of the lightweight frames profiles T1L and Y1L are their excellent bending properties. 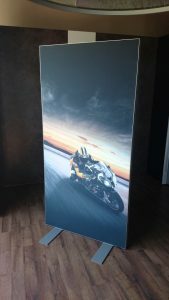 Curved walls or cylinders can be manufactured in very small radii, to transport your advertising messages in all directions. Also, like all other TRENDSTAND profiles T1L and Y1L can be powder coated, of course. 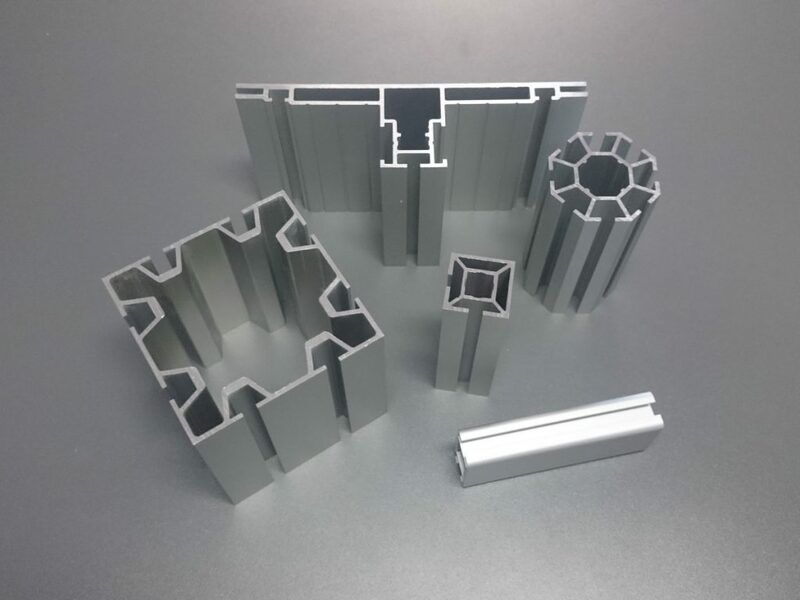 If aluminum gray is not suitable, all RAL colors and several effect coatings like schrumpflack or hammer paint are doable. 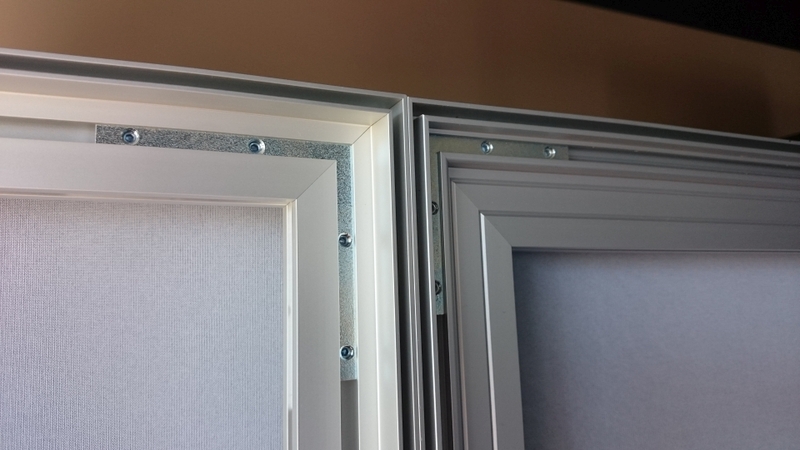 Of course, lightweight frames profiles have to be chosen with care. Our experts will be happy to advise on the limitations of T1L and Y1L, and when you should choose bigger profiles for your digital prints. After all, it is not only the price that must meet your expectations. The overall result must be right and leave a lasting, positive impression on your customers. Our customers have been asking for it for quite a while: extra slim lightframes with the familiar TRENDSTAND quality and stability. A demand that is easily understood. For small signs, light posts, and partitions the traditional massive frames—like our popular T5 with its 180 mm width—are often just too large in terms of looks and costs. Of course, meanwhile there are many aluminum profiles available at the market that sport a width of less than 100 mm. But almost all have one thing in common: They are not much more than structured sheet metal and hardly provide any reasonable bending stiffness. This is where TRENDSTAND comes in with a solution now. After several months of developing and testing TRENDSTAND now produces a new profile for lightframes, utilizing and modifying long-known technological knowledge about reflectors and stiffening gills. The result is a profile which is very rigid thanks to its dimensions of 92 x 32 mm, and which distributes the light of the LED rim-feeding evenly within the lightframes, even in the corners. By the way, V92 lightframes in wall-mounted, single-sided use are a reasonable alternative for area-illuminated frames, too. Thereby the width of 92 mm was not chosen without reason: It guarantees perfect inclusion in our modular construction system. 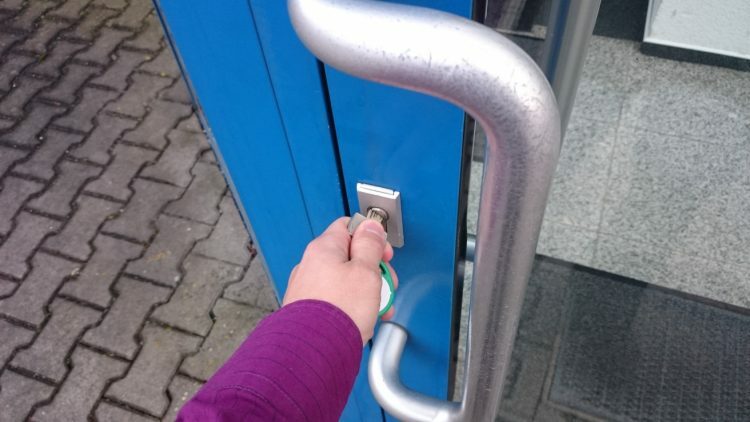 Especially the flush connection with the popular construction profile GAMMA-92 was crucial in the decision about the final dimensions. Of course, V92 LED lightframes are flexible not only because of the small dimensions and the inclusion in the modular construction system. Also, dismounted lightframes with LED rim-feeding can be packaged in rod-shaped packets and easily be transported that way. Or are you uncertain about changing dimensions in future uses? No problem, in case the dimensions of LED lightframes have to be altered, only specific parts have to be replaced or reworked. This way expensive new purchase is most widely avoided. Since the new lightframe profile has a different setup than our established T-shaped profiles T1, T3, and T5, a new nomenclature was needed. The “V” is an obvious result of the shape of the reflectors, while “92” as a designator of the width in millimeters follows the usage of our customers. Many users traditionally refer to keder profiles as “FK” (for “flat keder”) in combination with a statement of the width in millimeters. Therefore, instead of using a cryptic number the new profile’s name now officially states the width in its name. Of course, further development of LED rim-feeding does not end with the introduction of V92. Ever new variants of angled solutions (see here) are currently being developed, and so are round variants. TRENDSTAND’s frame designs for trade fair and shop fitting have always featured high flexibility. Due to great demand we have just taken an old classic back in stock: the shelf support profile for our 20 mm rails of the SIGMA, KAPPA, and ZENO model ranges. This profile allows you to quickly mount shelves in racks or on consoles, and to deinstall them later without residues. And all this without any additional work steps! Just hook in the support profiles, put the shelf on—done. Exceptional design and visualization services have always been a major part of TRENDSTAND’s offerings, as well as customer support from two locations. Unfortunately, the building in Unterföhring previously used by our Design Office Munich now falls victim to long-planned measures in the sense of “Our village shall become more beautiful”. Therefore, from Monday, 01/30/2017 you find us a couple miles away in Eching/Dietersheim. So we stay in Munich’s surroundings, and for you nothing changes but the postal address (see contact page). Mr. Kargl and the TRENDSTAND team are looking forward to the further collaboration with you! p.s. : Telephone companies do make mistakes in relocations sometimes. In case you cannot reach our Munich numbers right away, please contact our main office. Thank you! We thank you for a year 2016 which has equally been distinguished by lots of work and lots of success, and we hope to have more than fulfilled your expectations during the past twelve months. 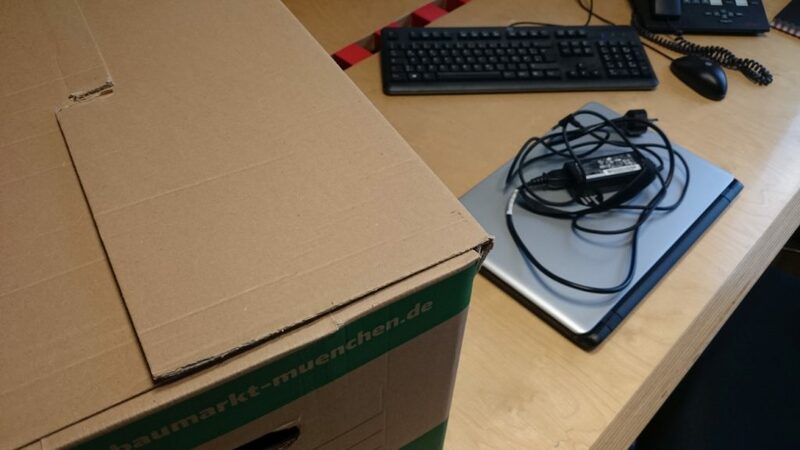 Now it is time for a short rest for us, and so we have a shutdown period from December 23rd until January 1st. On January 2nd we are already here for you again and looking forward to your inquiries and orders! We wish you pleasant holidays and a great start into a prosperous new year! For a great start into the new year we are now giving you an extra 5% discount on all aluminum profiles*! The offer is limited—so being quick is advantageous! *) The special offer is valid for all deliveries of tailored TRENDSTAND articles with a delivery date until the end of January 2017, guaranteed by TRENDSTAND via order confirmation until 01/13/2017. The offer is valid only for tailored profiles in complete products; for mounting parts, digital prints, and accessories (e.g. LED lighting), as well as for standard profile rods the regular conditions apply. We reserve the right to reject orders that cannot be carried out due to capacity reasons. For orders of cubes and cuboids of our exceptionally stable KUBUS profile we give you a fabulous 60% discount on the list price of profile and tripod (cube corner)*. The offer contingent is limited to an additional 25 pieces—so being quick is advantageous! 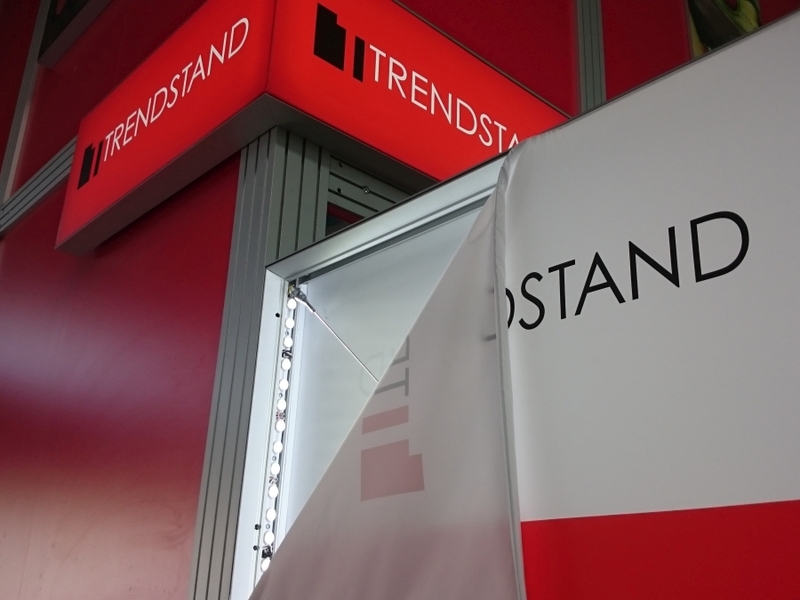 *) The special offer is valid for all deliveries of tailored TRENDSTAND articles with a delivery date until the beginning of fall on September 23<sup>rd</sup>, guaranteed by TRENDSTAND via order confirmation within the special offer period. 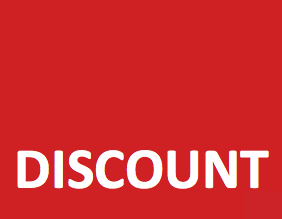 The offer is valid only for frame profile and corners; for digital prints and accessories (e.g. LED lighting) the regular conditions apply. We reserve the right to reject orders that cannot be carried out due to capacity reasons. “Fully responsive” layout: Since the number of customers seeking information on the road rises, trendstand.de now flexibly adjusts to all browsers and screen formats. 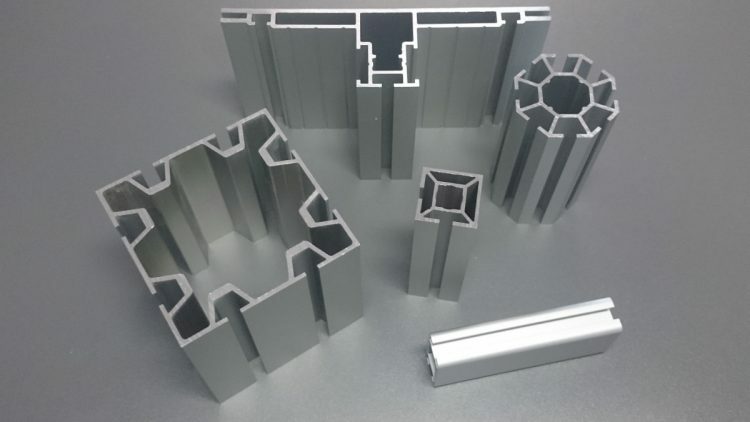 New product information: The “products” section graphically introduces private as well as business customers to various fields of application for flexible aluminum architecture. For experienced system users there is the additional section “for architects”, which serves as an expert information source giving an introduction into the profile families and the familiar link to our parts catalogue. TRENDSTAND blog: From now on we will inform you on a regular basis about our new developments and seasonal special offers. In addition we provide interesting articles in this section covering various topics from industrial design through technological developments and the business world. 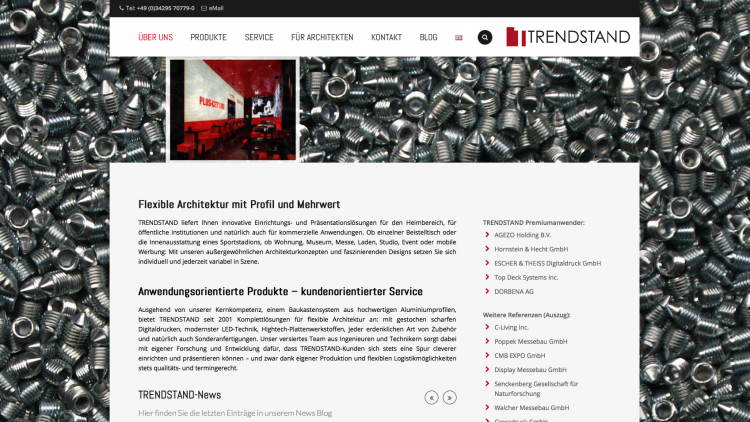 We would be glad to regularly welcome you back at www.trendstand.de.